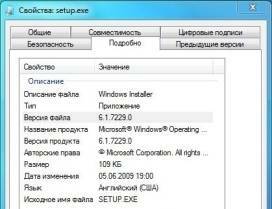 Windows 7 Build 7229 has leaked to Internet. The full build tag string for Windows 7 Build 7229 is 6.1.7229.0.winmain.090604-1901, which indicating it’s compiled and signed off on June 4th, 2009. 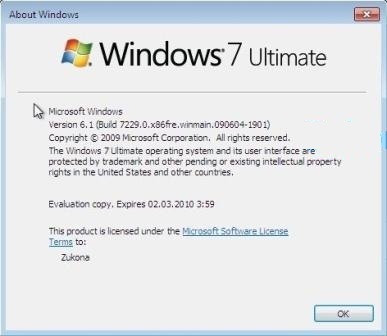 Unlike Windows 7 Build 7227, the leaked Windows 7 Build 7229 is of winmain branch, which will likely be the branch where the final Windows 7 RTM will come from. Both 32-bit and 64-bit Windows 7 Build 7229 is available for download. Even Windows Server 2008 R2, with is Windows 7 Server version, is available. One important note is that Windows 7 Beta activation product keys no longer able and cannot activate Windows 7 Build 7229, although Windows 7 RC activation product keys can still be used to activate the installed system. The MUI (Multilingual User Interface) Language Packs for Windows 7 Build 7229 is also available in full complete ISO image, with all language and localization packs.